The Federal Bureau of Investigation (FBI) reports that nearly half of all hate crimes committed in America today have to do with race. According to FBI statistics, 47% of hate crimes are racially motivated. But one city takes the cake when it comes to racial incidents, and that is Portland, Oregon. 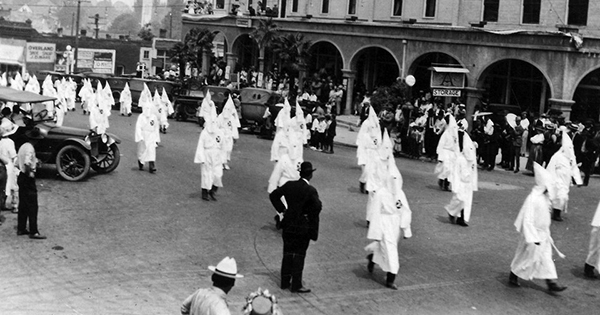 Portland is known as "the whitest city in America" and has a long history of racism. Although the law forbids discrimination based on race, even today audits reveal that landlords and leasing agents in Portland discriminate against black and Latino renters 64 percent of the time. How? They charge minorities higher rents or deposits than whites, along with other additional fees. Even in Portland schools, black students are suspended and expelled 4-5 times greater than white students. The black population in Portland is only 6.3 percent, but one would think that a city as progressive as Portland would embrace the black culture. Sadly, even today, black workers are subjected to racial insults at work, and the black community lags behind on income levels and home ownership. Portland even drug its feet to pass laws that were ratified by the U.S. government, such as giving blacks the right to vote, which they did not ratify until 1959. Even as late as the 1970s and 1980s, banks were blatantly refusing to give home loans to blacks, an illegal practice called "redlining." A recent article in The Atlantic stated that "Racism has been entrenched in Oregon, maybe more than any state in the north, for nearly two centuries." But in spite of continued racist activity, including a recent racial incident at Daimler Trucks North America plant that resulted in a pending lawsuit involving 6 black workers, Portland has a long way to go to rid themselves of racist practices and policies.